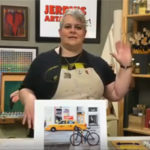 Hat’s off to Jerry’s Artarama for sponsoring the Art Stars: My Art Journey Video Contest. It truly gave a greatÂ opportunityÂ to many artists to share their painting tips with the world. I’m glad they named it the “Art Stars Contest”, because all who participated were winners. 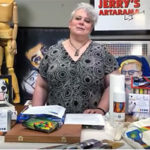 I would like to thank Jerry’s for the privilege to participate in the Art Stars Contest. It was the experience of a lifetime.